Robert Snodgrass's inch-perfect free kick earns Hull City a last-gasp victory over Wolverhampton Wanderers in Friday night's Championship match at the KC Stadium. David Nugent scores in the 91st minute as Middlesbrough beat Championship promotion rivals Hull City 1-0 at the Riverside on Friday night. Hull City's five-game unbeaten run comes to an end as the Tigers lose 1-0 at Birmingham City and miss the chance to go top of the Championship. Relive Birmingham City's surprise 1-0 win over Hull City in the Championship with Sports Mole's minute-by-minute updates. Sports Mole previews a third FA Cup meeting in as many years between reigning champions Arsenal and Hull City. 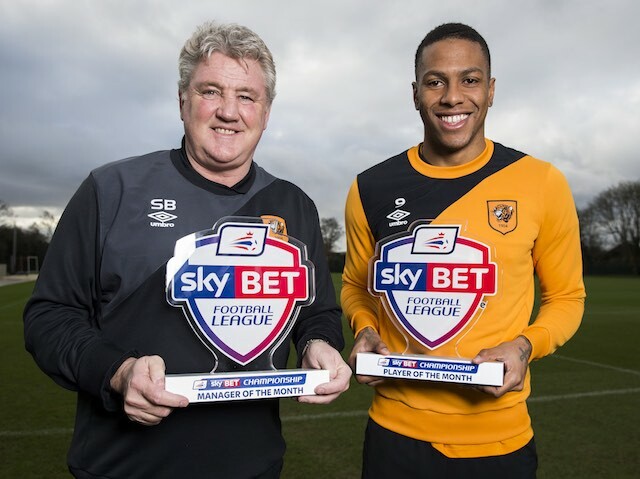 Hull City pair Steve Bruce and Abel Hernandez are named the Championship Manager and Player of the Month respectively for January. Queens Park Rangers boss Jimmy Floyd Hasselbaink says that his team's late 2-1 defeat to Hull City in the Championship left him "absolutely gutted". Adama Diomande scores a 90th-minute winner for Hull City as the Tigers record a 2-1 victory over Queens Park Rangers in the Championship on New Year's Day. Hull City skipper Jake Livermore scores in the final minute as Steve Bruce's side beat Reading 2-1 in their Championship clash at the KC Stadium. Sports Mole previews the Championship clash between Hull City and Bolton Wanderers. Jacob Butterfield's brace earns Derby County a 2-0 half-time lead over Hull City at the KC Stadium. Hull City manager Steve Bruce makes two changes to his side for the club's Championship clash away at Bristol City. Mohamed Diame puts Hull City ahead at the break in their Championship clash with Middlesbrough. 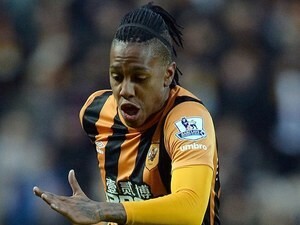 Uruguayan Striker Abel Hernandez starts up front for Hull City against Middlesbrough. Brentford and Hull City reach the half-time interval of their Championship game with the score still at 0-0. Hull City record a 2-0 win over MK Dons thanks to goals from Ahmed Elmohamady and Mohamed Diame. Ahmed Elmohamady's smart finish gives Hull City a first-half lead away at MK Dons in the Championship. Hull City name an unchanged side from their last Championship match against Birmingham City as they travel down south to face MK Dons. Sports Mole previews the Championship match between MK Dons and Hull City at stadium:mk. Hull City are through to the quarter-finals in the League Cup after beating Leicester City 5-4 in a penalty shootout. Gary Rowett believes that his Birmingham City side lacked belief in their 2-0 loss to Hull City at the KC Stadium. Hull City beat Birmingham City 2-0 thanks to goals from David Meyler and Abel Hernandez. Hull City lead Birmingham City at half time thanks to goals from Abel Hernandez and David Meyler. Hull City defeat Ipswich Town 3-0 in the Championship through goals from Alex Bruce, Chuba Akpom and David Meyler. Hull City hold a two-goal lead over Ipswich Town after goals from Alex Bruce and Chuba Akpom. Sports Mole looks ahead to the Championship clash between Hull City and Ipswich Town. Hull City come from behind to draw 1-1 with hosts Sheffield Wednesday in the Championship, thanks to a second-half goal from Abel Hernandez. Relive Sports Mole's minute-by-minute coverage of the 1-1 draw in the Championship between Sheffield Wednesday and Hull City. Sports Mole looks ahead to Saturday lunchtime's Championship as match as two in-form sides, Sheffield Wednesday and Hull City, do battle at Hillsborough. Hull City boss Steve Bruce tips his side to continue improving after watching them defeat Nottingham Forest. Uruguay forward Abel Hernandez scores the winner as Hull City win 1-0 at Nottingham Forest, who have Matt Mills sent off. Sports Mole previews the Championship match between Nottingham Forest and Hull City at the City Ground. Hull City striker Abel Hernandez admits to being left feeling 'disappointed' by his side's home draw with Blackburn Rovers, following a late Jordan Rhodes equaliser. Steve Bruce bemoans Hull City's failure to hold on to all three points during their clash against Blackburn Rovers. Abel Hernandez scores the only goal of the game as Hull City edge out Blackburn Rovers. Hull City and Blackburn Rovers head into half time tied at 0-0.